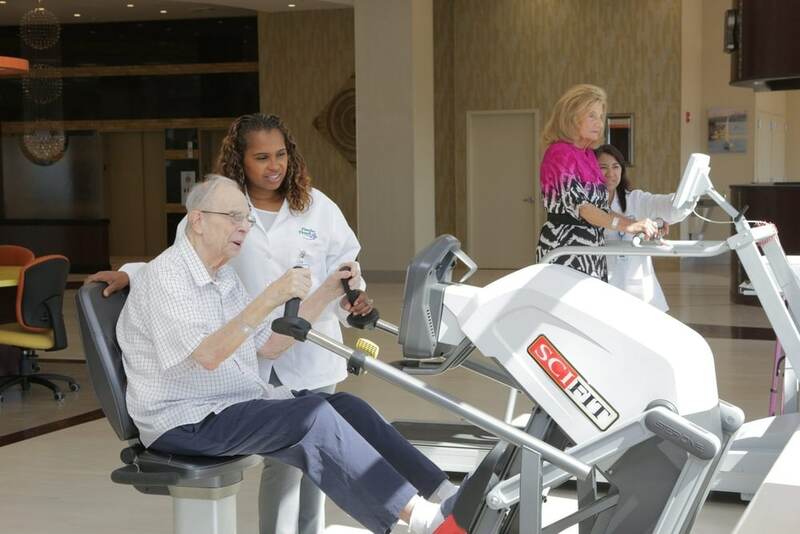 The Haym Salomon Home for Nursing & Rehabilitation team offers high-quality treatment for patients suffering from neurological diseases, including Parkinson’s disease. Parkinson’s disease can affect gait, balance, flexibility, coordination, speech, voice and swallowing. With this impact on such a wide range of everyday activities, it can make it difficult to achieve normal daily living. But our appropriately trained care team can help achieve a high quality of life, especially when compared to pre-diagnosis reality. Our team is fully equipped to care for patients facing diagnoses in the area of neurological diseases. We are also committed to providing comprehensive, compassionate and committed care, addressing each need as it arises.